Start your Adriatic adventure in luxury as you embark the iconic Venice Simplon-Orient-Express train from London to Verona. 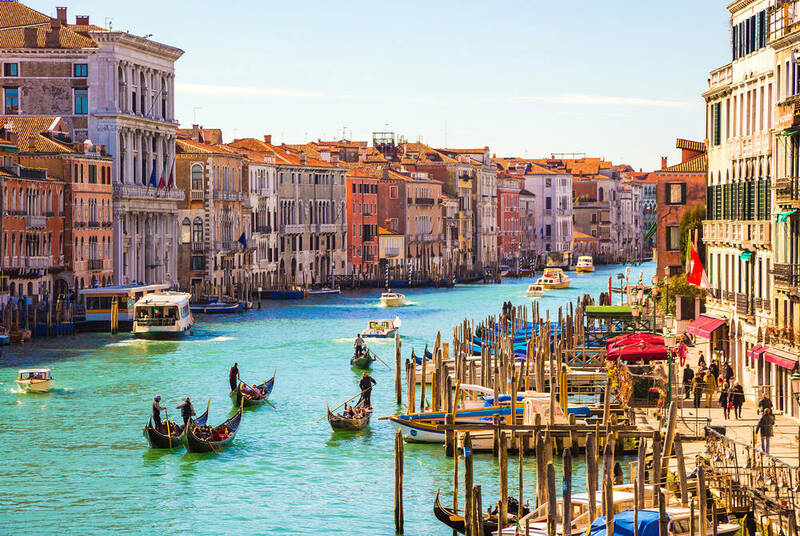 Enjoy two days in this romantic city before making your way to Venice for a further three nights prior to embarking your all-inclusive 6-star cruise on Seabourn. Nothing matches a Venice sailaway as you cruise the rugged coastlines and historic harbours of the Adriatic and Aegean. Embark the Belmond British Pullman luxury train at London Victoria and enjoy a three-course brunch before arriving at Folkestone and onward to Calais where you embark the famed Venice Simplon-Orient-Express luxury train for an overnight journey to Verona. On board, enjoy a welcome glass of sparkling wine and a four-course dinner before retiring to your luxury accommodation on board. Enjoy a leisurely breakfast in your cabin as you watch the the Swiss scenery passing by. 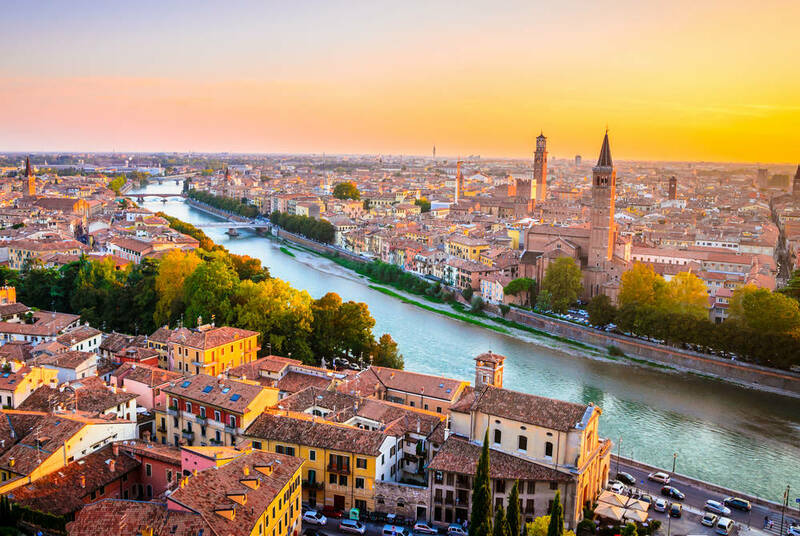 Relax on the train before a three-course lunch sees you traveling through the Italian countryside before arriving in Verona. Debark the Venice Simplon-Orient-Express in the afternoon and take your private transfer to your hotel for a two night stay, the Hotel Palazzo Victoria, on a room only basis. Enjoy a small group walking tour of this romantic and beautiful city. Take your private transfer to Venice, about 80 mins drive, and check into your hotel for a two night stay, the Bagliona Luna, on a room only basis. Enjoy a full day tour of Venice. Enjoy the day at leisure, or contact us for bespoke tours. 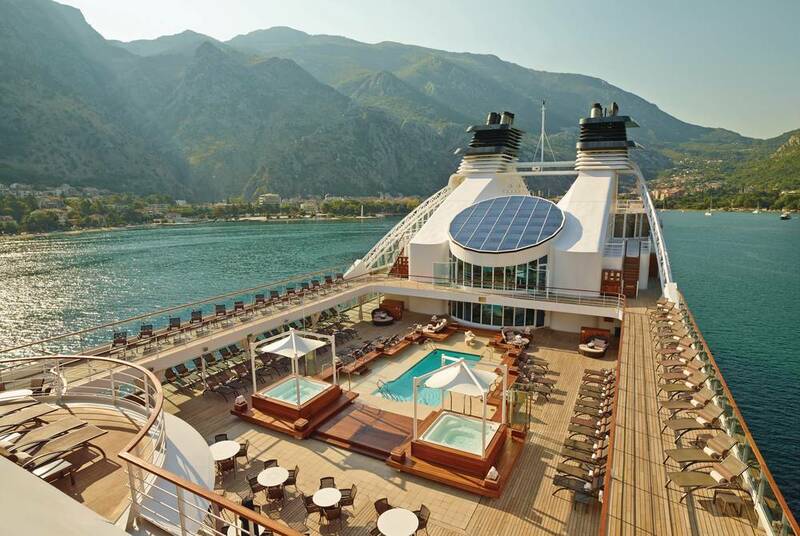 Check out of your hotel and take you private transfer to the port and embark Seabourn Odyssey. Set sail in the early evening. Located midway along the Dalmatian coast of Croatia, Sibenik is the oldest native Croatian city on the Adriatic Sea. Its location at the mouth of the Krka River and directly onshore from the 150 clustered islands of the Kornati archipelago made it an important port from prehistoric times. The town has more than its share of UNESCO World Heritage Sites, not least of which is the impressive 15th century domed St. James Cathedral, the largest church in the world built completely of stone. The stone was all imported from the offshore islands, and the building is a testament to the fine-grained quality of the material and the skill of Croatian masons and sculptors. The 16th century St. Nicholas Fortress is also inscribed by UNESCO. St. Michael’s Fortress, dominating the skyline, is a 15th century structure that contains a church possibly dating from the 9th century. It has been adapted to modern use as a venue for musical and festival presentations. In summer the stone plaza in front of the cathedral is often the site of folk dancing or other entertainments. Many visitors to this area of Dalmatia opt for a day trip to the picturesque travertine cascades and pools of the Krka River in the Krka National Park, which contains Europe’s second-highest concentration of lavender. 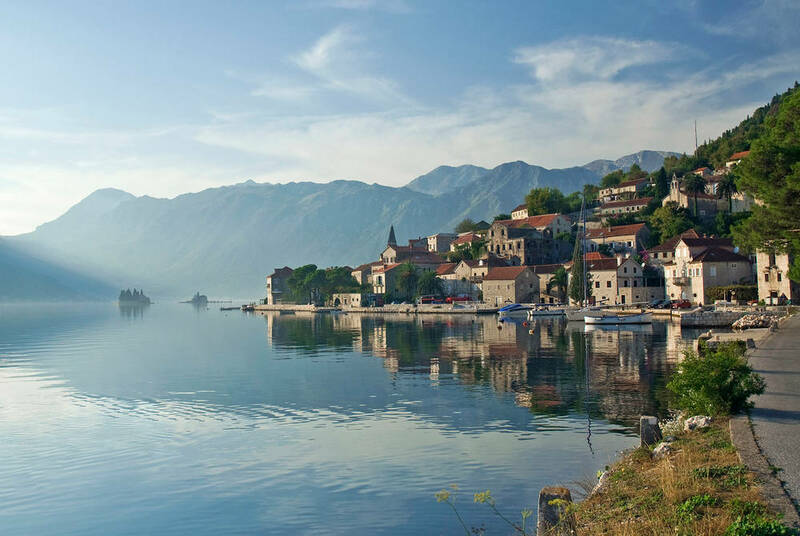 One of the best preserved medieval towns of the Adriatic, Kotor is protected by UNESCO. Between 1420 and 1797, the area was under the rule of the Republic of Venice and the Venetian influence can be seen in its architecture. The Gulf of Kotor is sometimes called the southernmost fjord in Europe, although it is actually a submerged river canyon. The overhanging limestone cliffs of Orjen and Lovcen complete one of the Mediterranean's most beautiful landscapes. A scant few miles off the Albanian coast lies the island of Corfu, one of the most richly endowed of all the Greek Isles. Praised by Homer in "The Odyssey" and selected by Shakespeare as the setting for "The Tempest," the island retains evidence of cultural heritage from each of its past rulers - Byzantium, Venice, France, Russia and Great Britain. Rolling acres of olive groves, small orchards of lemon and orange trees, tall cypress, oleander, and myrtle bushes lend a lush, verdant look to the island. While the oldest part of Corfu Town has cobblestone lanes so narrow only pedestrian travel is possible, the modern sector has wide avenues. Residents boast that its "Spianada" is the largest and most beautiful square in all Greece. 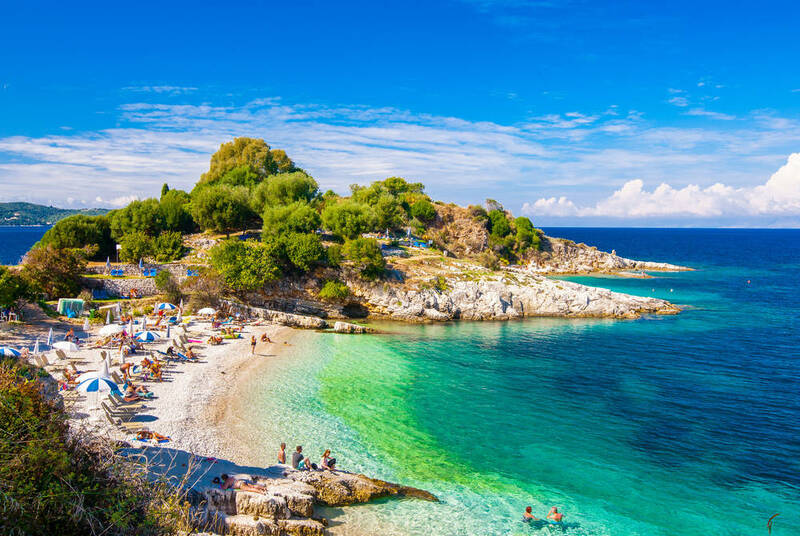 Located on the east coast of Kefalonia, Sami is home to beautiful beaches and pleasant cafés and tavernas around the harbor that provide an ideal setting to soak up the traditional Greek atmosphere. Situated on a hill to the south of town are the ruins of ancient Sami, where visitors will find a fascinating site consisting of artifacts spanning several different civilizations over thousands of years. 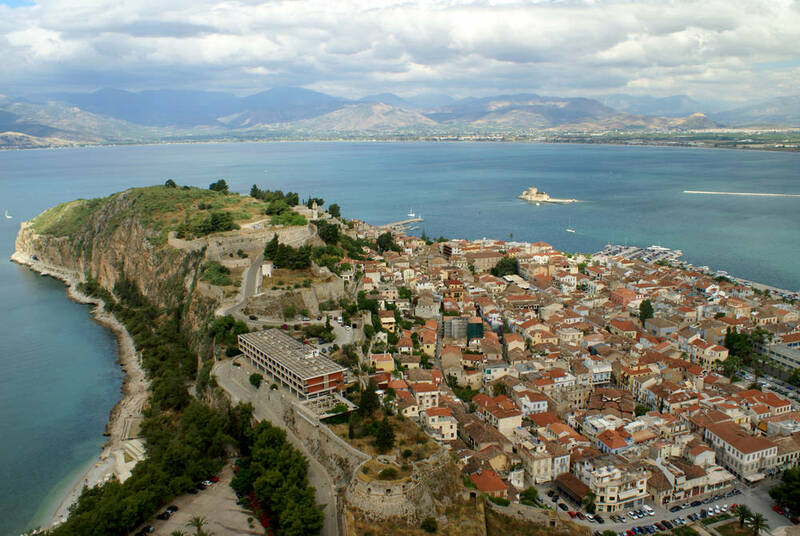 Gythion, the small port town for Sparta, edges its way up the hillside, which surrounds the harbor. According to Homer, Paris and Helen spent their first night together here, on a tiny islet in the bay. To commemorate the occasion, Paris erected a shrine to Aphrodite, goddess of love, only to have it torn down by the vengeful Menelaus after he recaptured Helen. In its place Menelaus erected statues honoring Praxidica (Punishment) and Themis (Justice). Not far away, at the tip of the Peloponnese, lies the Mani, a distinctive area unlike anything else in Greece. This desolate region of underground lakes and rivers and windswept landscapes is strangely beautiful. To the north of Gythion lie Sparta and Mystra, well worth a visit.